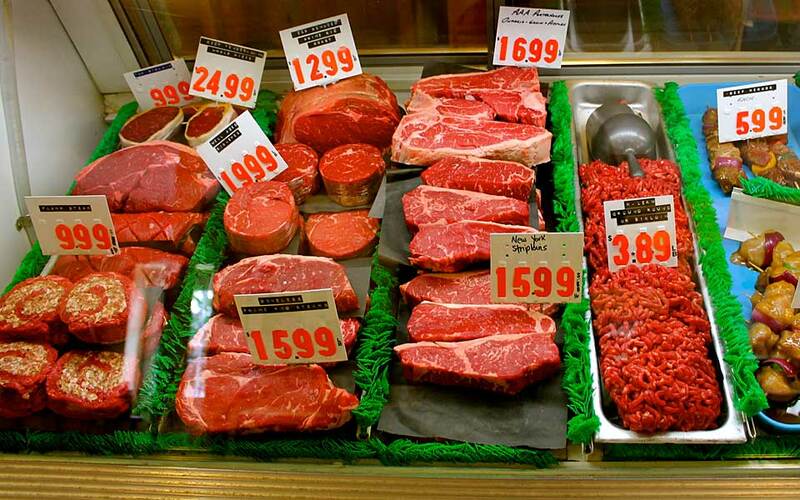 King Street Market and Butcher Shop - High quality beef, pork, chicken and fish since 2006. Welcome to the King Street Market. Though we’ve been known as the King Street Market since 2006, we have a long, rich history of bringing Peterborough local, fresh and affordable foods. 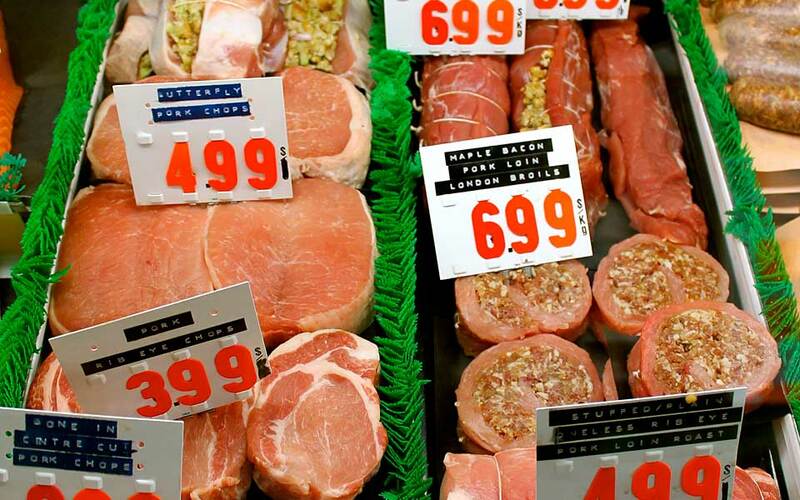 Since 2006, we’ve been voted the “Best Local Butcher” four times. One taste and you’ll see why. We endeavor to support local, natural and sustainable farming practices using our “85/85 Plan”. This means that 85% of our products are from within an 85 mile radius. Because we believe the tastiest food is the food less traveled. The original butcher business was established in 1930 by Ernie Braund, making us not just the best local butcher in the Peterborough area, but also the oldest with a wonderful legacy. It was Sam Chamberlain, who worked at the butcher shop since he was 15 years old that purchased it in 1955. He ran the store as “Chamberlain’s Food Market” until 2005. It was then that Peterborough native and former-NHL star Herb Raglan and his wife Tammy purchased the butcher shop. They renovated it and renamed it the “King Street Market” that you see today. With its Peterborough history, heritage and original aspiration to bring fresh, affordable food to the public, the Raglan’s continue delivering delicious goods. Nothing is better than our beef. Rated Canadian AAA or higher, we get our beef from small farms across Southern Ontario and Western Quebec. We then age our beef at least 35 days and sometimes as long as 65 days depending upon the cut and breed. This gives you the tenderest cuts possible. By cutting our steaks a minimum thickness of 1.25 inches, they are perfect for grilling. Herb may be known for his NHL career, but in Peterborough, it’s his homemade sausages that are his claim to fame. The great taste comes from a recipe that Herb and Tammy started way back in 1989 when Herb was playing hockey. By trying out different recipes on his teammates, he was able to perfect his craft. We use a traditional European process, using the finest grade of pork and a secret combination of spices. 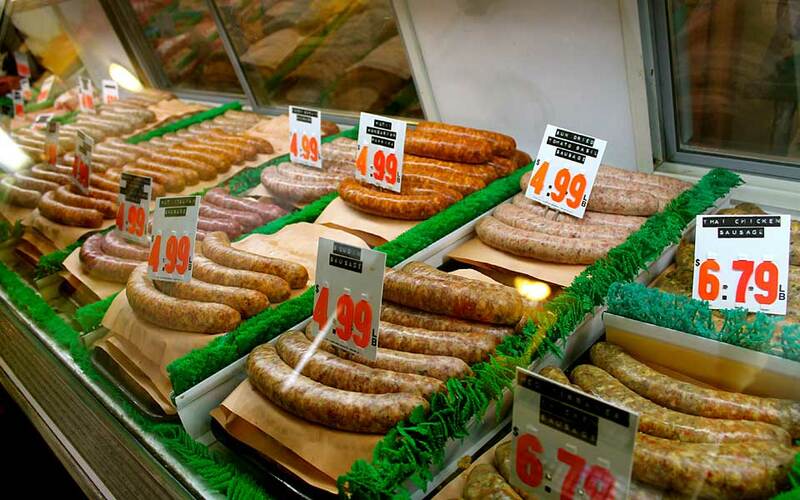 We never use fillers and have always kept our sausages gluten-free. It’s true homemade quality that you can taste. Looking for something lighter? We provide three varieties of chicken sausage and chicken patties all made with the same care and attention. We take the same care with our pork as we do all of our meats. We only use humanely raised animals with great feed programs from small family operations in Ontario and Quebec. We also age our pork 17-21 days to give it the maximum tenderness. Great taste comes from great care, and we get our chicken only from farms that humanely raise their birds in free run setting. The chickens are fed mostly grain feed so that you get great flavour and texture in the meat. 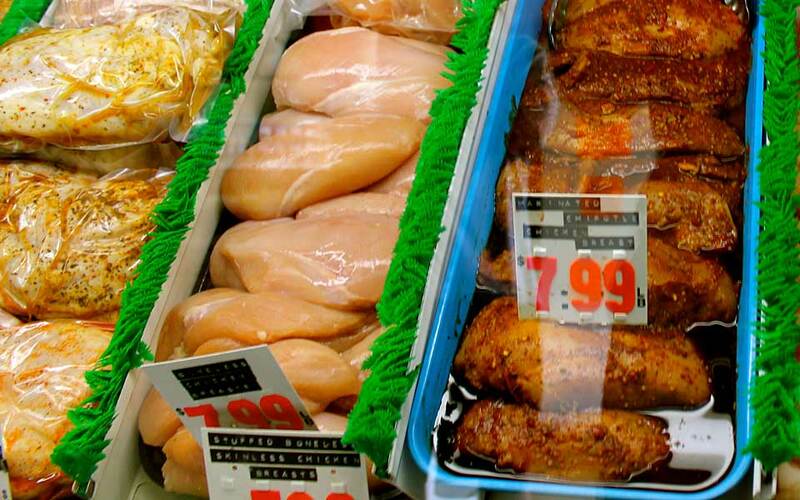 By these quality standards, using proper air-chilling and trimming our poultry to perfection, you will never go back to grocery store chicken. For lighter options we offer both fresh and frozen fish such as salmon, trout, wild pickerel and perch. “Surf up your turf” and enjoy our variety of raw and cooked shrimp, Digby scallops and Canadian lobster tails. 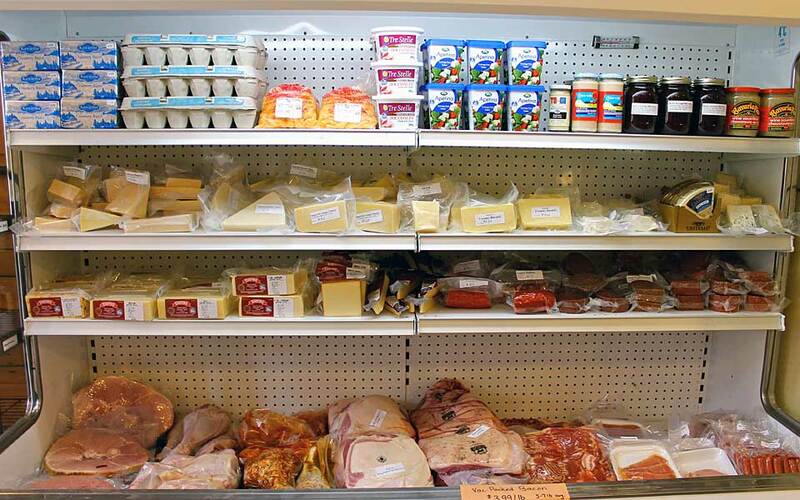 Enjoy our range of local and imported cheeses and olive oils to round out your meal. On a budget? No problem. Check out our discount bags of fresh offerings sure to fit any budget. At King Street Market, we respect the environment and the animal. We let nothing go to waste. That’s why we offer cuts of meat that are often hard to find at conventional grocery stores. Come see us for veal shanks for Osso Buco or ox tails on a seasonal basis. Don’t see your favourites in the list? Just ask and we’ll work with you to get the menu you want.